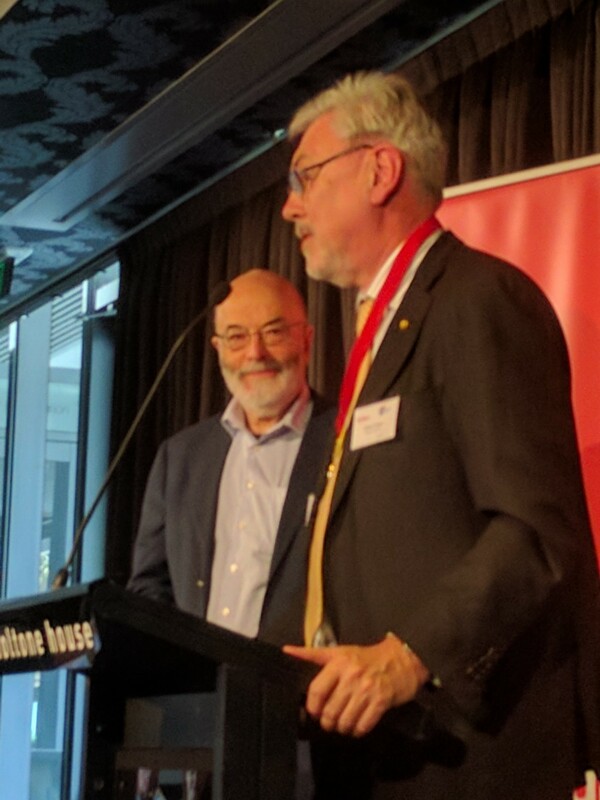 The 2018 Charles Todd Medal has been awarded to Iñaki Berroeta, Chief Executive of Vodafone Hutchison Australia since 2014. The award recognizes Mr Berroeta’s achievements in radically improving the performance of this company, especially in its product offerings and its customer service, and for his active collaboration across the industry to deliver reforms of benefit to all telecommunications consumers. The September 2017 issue has now been published and papers may be found on the telsoc.org website. The papers provide a good mix of research, public policy comment and telecommunications history. This month the highlights include a paper about Indonesian telecommunications and a proposal for SafetyNet, a new approach to rural and remote communications. A new book, 'Changing Jobs. The Fair Go in the Machine Age' by Jim Chalmers and Mike Quigley, has been launched today (25 September 2017). It is reviewed by Peter Gerrand in TelSoc's Journal, the Australian Journal of Telecommunications and the Digital Economy, here. The June 2017 issue is now out and we have a range of papers from public policy, history and academia. The growth in the number of papers being published quarterly is a very positive outcome that demonstrates the successful efforts of the editorial team to move the Journal forward. A number of individuals (including some from TelSoc) have been involved recently in discussions on the NBN using public forums.The problem here is that the discussions can become less than fact-based. TelSoc is holding a forum on telecommunications and security between 22-23 November at the Rendezvous Hotel in Melbourne. Put the forum into your calendar now and start spreading the word to colleagues! Announcing TelSoc's new webpage devoted to articles on Australia's national broadband network: the history, new critiques of the status quo, and visions for a better future. Don't miss the December Bumper Issue, out now! The AJTDE is to return to Scopus soon and we're seeking your help to attract papers on the telecommunications or mobile cellular situation in each of the world's nations.